Angus Cereals is a farmer-owned, professionally managed cooperative, run for the benefit of its members to add value to their businesses. 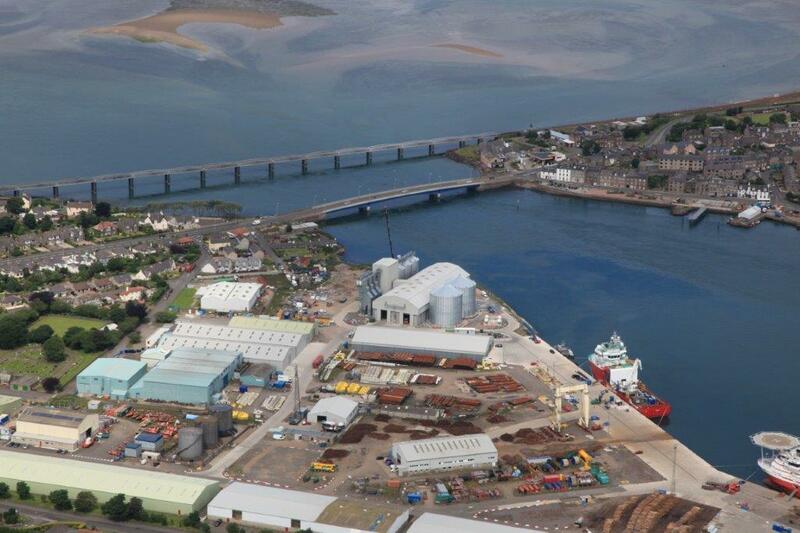 This plant was a two-phase quayside development for Angus Cereals for the Port of Montrose on the east coast of Scotland. In recent years, the port has undergone considerable expansion, largely to serve the offshore oil industry. This sheltered haven at the mouth of the River Esk has excellent road and rail links in all directions, which made it the perfect choice for Angus Cereals for its grain facility. As a quayside store owned by a farmer membership, Angus Cereals is another step forward as a strategically important store to capture value in the supply chain. As T H WHITE has a long history in the design and construction of large-scale grain handling and storage facilities, they were the obvious choice for this two-phase development. T H White Projects got Angus Cereals into operation on a tight time frame with an impressive building and grain drying facility. Since 2012, we have used no other installer. This superb new facility is a tribute to the vision and commitment of the farmer-owned cooperative in Angus who have made this happen. With ambitious plans to supply both domestic and export markets, this joint initiative is bringing quality Scottish grain to continental markets. The plant’s strategic location will give farmers across the region the opportunity to access potentially lucrative new markets beyond Scotland, which can provide a real boost for the local economy. Giving producers a stake in the company helps drive down costs add value, and improve returns for all involved. T H White’s depth of experience and foresight has been very important in the project design philosophy. This enabled Angus Cereals to build this project in phases, with provisions made for the next phase each time. As the port grows, phase three’s expansion is already benefitting from phase two’s provisions. This is only possible with a complete, 360 degree service – something T H White can provide with ease over a project spanning several decades. If you want to know more about how we can provide storage and processing solutions for your business or to speak to one of our expert advisors who’ll help get you started.